It is not expected to be business as usual come this Saturday when the annual Guardian Group Youth Tournament gets off the ground. In recent years there has been a trend which saw a select few academies taking away the lion's share of titles across several youth competitions, however, that is about to be a thing of the past. At the end of the 2017 tournament, the usual suspects had made it to the semifinal stage. Pro Shottas had a team in every age group, while Kick Start and Pinelands also made several appearances in the penultimate stage of the competition. The remaining spots went to smaller or newer clubs such as Pride of Gall Hill, Mavericks, Brittons Hill, Paradise, the National Sports Council and Whitehall. When the dust had settled at the end of the competition, Pro Shottas snatched up wins in the Under-9, Under-13 and the Under-15 categories after also making it to the Under-11 and Under 17 finals. It was Pinelands who got the better of the Shottas in the Under-11, while Gall Hill was good for the win at the Under-17 level. A clear change in the complexion of youth tournaments was evident in the 2018 Scotiabank Youth Cup. With several new clubs popping up in the two-tier system, it clearly was not a case of the usual suspects this time around. 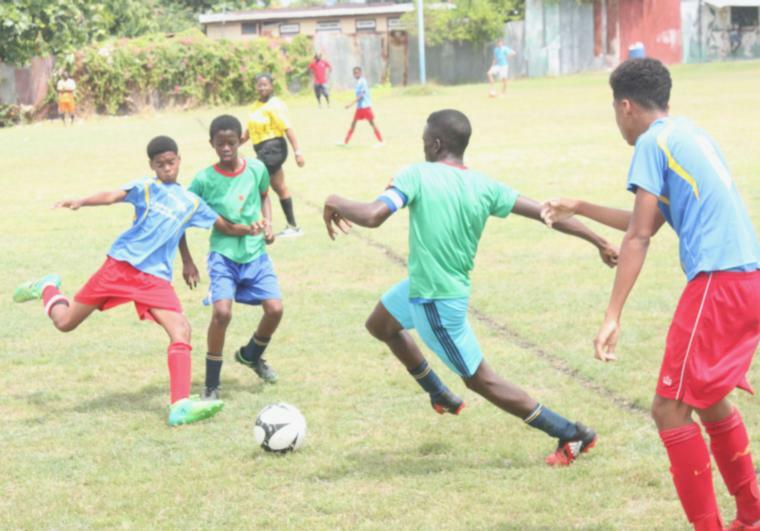 The Under-13s saw the National Sports Council Blenheim Ballers coming out on top in the Tier 1 final over Kick Start while Pro Shottas ended in third place. The Tier 2 final saw Fitts Village West Coast getting the better of Whitehall while new club United Stars Alliance worked their way up to third. In Under-15 Tier 1 action, Pinelands Academy copped the top spot, leaving second and third to Mavericks and Pro Shottas respectively. In Tier 2 Cosmos FC came to the fore, while United Stars Alliance and Notre Dame rounded out the top-three. Pro Shottas would not be left out of the winnings as they won the top-tier in Under-17 to leave Mavericks and the Barbados Soccer Academy in second and third. Tier 2 saw Fitts Village West Coast coming out on top as Whitehall Titans and Weymouth Wales took the other two spots. With 78 teams registered to get into the thick of things for this year's Youth Tournament, one can only wonder as to who will walk away with top honours this time around.